Over the 2017 Easter weekend (13 – 16 April), the Royal Borough of Greenwich will host the Rendez-vous Tall Ships Regatta 2017. The Regatta is the ceremonial start for a race being held to mark the 150th anniversary of the Canadian Confederation. 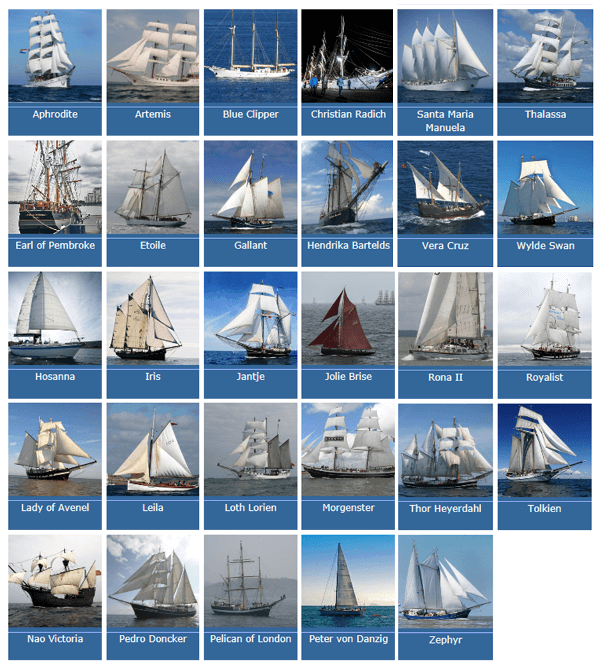 More than 30 Tall Ships will gather at Greenwich prior to sailing for Quebec, Canada, via Portugal, Bermuda and Boston. 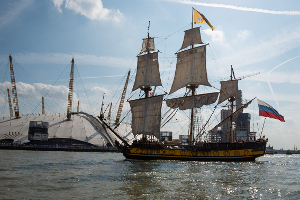 The ships will be anchored at two festival sites in the Royal Borough - at the Maritime Greenwich UNESCO World Heritage Site in Greenwich town centre, and the Royal Arsenal Riverside in Woolwich. The 30 Tall Ships will be moored on the river at Greenwich and Woolwich. Alongside UK based ships, will be vessels from countries including Portugal, Spain, Holland and Germany. The three largest participating ships – Santa Maria Manuela and Christian Radich - can be accessed by purchasing a shuttle ticket from Greenwich Pier, while other Tall Ships can be boarded directly from Woolwich Pier. The location of ships moored on the river at Greenwich and Woolwich can be seen in these illustrations, which can be downloaded by clicking the images. Ships visits are open daily in both festival sites from 9.30am – 4.30pm. All ships visits are free of charge in Woolwich. In Greenwich ships visits cost £10 adults, £8 children or £30 for a family of 4 (this is because the pier is more busy in Greenwich and you need to take a shuttle boat out to pontoons along to the river to the deep water). The Parade of Sail is the spectacular finale of the Regatta. 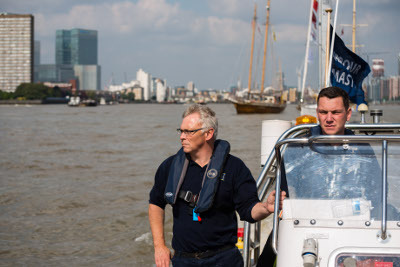 The Parade will start at 5.00 pm, with the vessels following line astern downriver, past Maritime Greenwich and the Cutty Sark, the O2 Arena, passing through the Thames Barrier and Woolwich Arsenal. We have worked with the Royal Borough and Tall Ship operators planning for the Parade. On the day we will be managing river traffic, with harbour launches at the head and tail of the fleet of ships. Our navigational control centre at the Thames Barrier will support the afloat crews with overall co-ordination of river traffic. 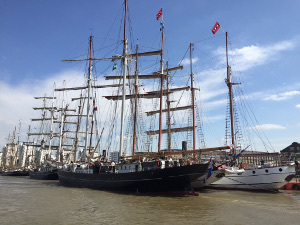 The Tall Ships will be leaving their moorings and getting in position for the Parade of Sail from 3.00 pm, so if you are on the Greenwich/Woolwich waterfront that afternoon, there will be plenty to see. At the PLA we are sponsoring one of the trainees: Sixth form student Drusilla Barnes, 16, from Erith, won the chance to take part on the first leg of the race after being among the winners in an essay-writing competition. 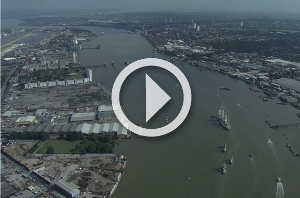 Watch our film: Greenwich Tall Ships Festival Parade of Sail and let us take you back to September 2014, when the Royal Borough of Greenwich hosted the largest Tall Ships event on the Thames in 25 years, culminating on 9 September with a Parade of Sail. Alternatively view our gallery Parade of Sail - Tall Ships Regatta 2014 to see some wonderful images of the 2014 event.